I'm usually drawn to the tiny and miniature, but in a total reversal here's a collection of huge and humongous projects made from hypertufa. Although the tinies are fun to make, and a whole lot easier, sometimes you just want something challenging. So here's where you make an enormous bowl, a bird bath, or a millstone. There is a little more planning and thought that goes into these. First, they take a lot of room to make, and to cure. They also take longer to cure, so they can't be disturbed for a lot longer. You'll be extremely sad if your giant item falls apart because you treated it like a normal project, and moved it too soon. They also require a lot of mix. 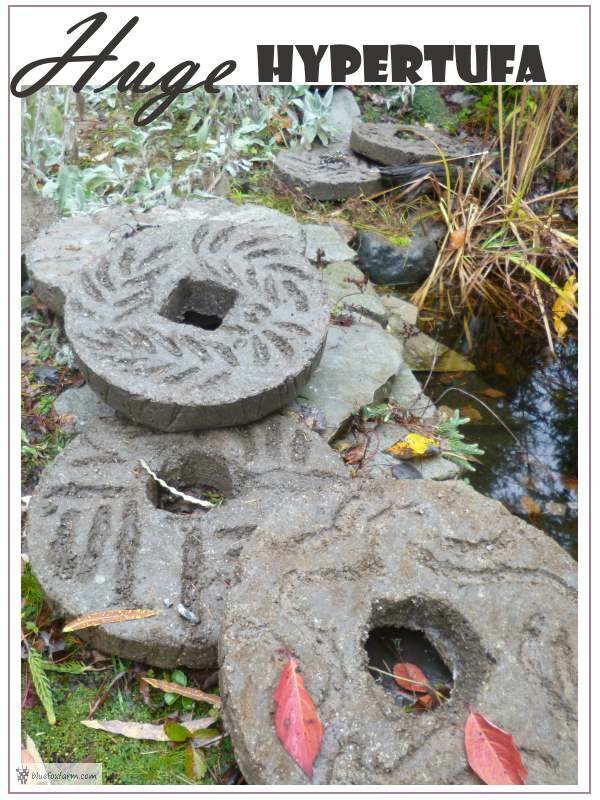 The millstones that I made two years ago each took two or three of my regular batches. Luckily, if you're making it all in one go, the batches can be keyed into previous ones to make a uniform sturdy project. 'Keying' is when you dig fingers from the new batch into the old one, so it all joins seamlessly. 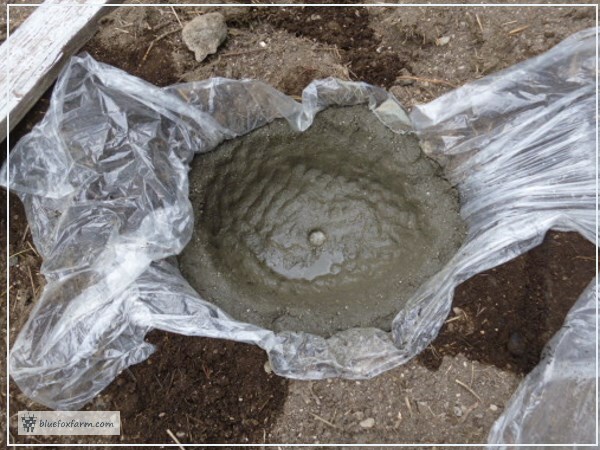 Molds can be another problem; the millstones were formed in a pond liner. 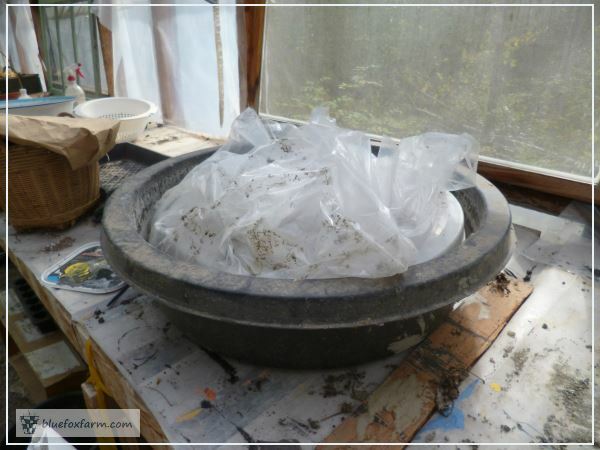 I've used plastic lining a sand or sawdust pit, which is lined with the mix. This is a pain, because you're crawling around on the ground. The walls of these kinds of projects have to be correspondingly thicker than normal too. Don't cheap out on this part! I've lost more large pots than anything else, just by two things; moving it too soon, and making them too thin to withstand their own weight. Keep in mind that the thicker they are, the longer they take to cure. Some large projects really need an armature which is usually wire mesh of some kind. 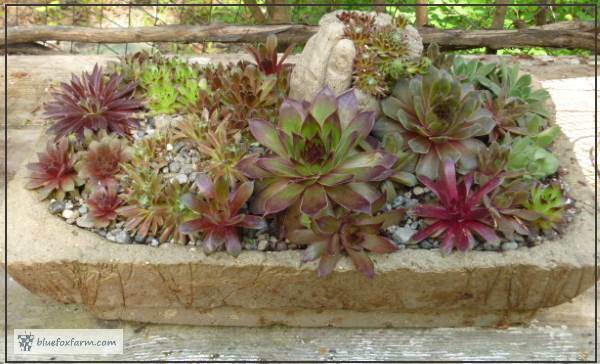 Chicken wire works, and it's somewhat flexible for things like stones. 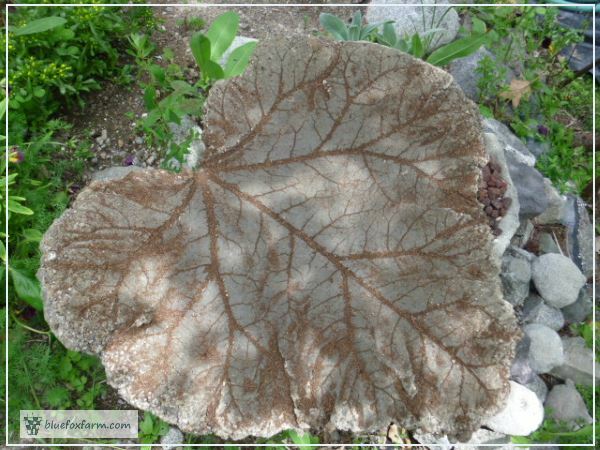 So if you're planning a huge hypertufa project, size does matter. Go big or go home, I always say.